Facebook Ads Manager can be complex yet helpful at the same time. Social media advertisement is more than a trend. It is a fact that people connect to the world through social networks not only to keep in touch with their acquaintances, but to get informed, catch up with the latest events, or belong to groups to discuss topics of interest. Facebook users are estimated in the 1.4 billion people range, spending an average time of 50 minutes per day. This tide of people sharing content and experiences digitally has untapped a marketplace that has been used for marketers for a long time now. Facebook ads have the capacity to reach a quantity of people/customers never imagined, specially if you own a small and local business. Facebook Ads Manager is the advertising platform created by this social network, making it “easy” for people to create ads and advertise. But again, with such an overwhelming amount of people, a not-well crafted ad is just a shot in the dark. In this article we want to present three basic steps to learn how to create high converting Facebook ads, that our marketers at Gazelle Interactive follow to guarantee the success of the campaigns we manage, in order to present an accountable ROI for the business we work with. If you are a business owner investing in ads, probably you expect to sell your services or products with every ad you pay. That’s good, we want the same for you. But before focusing on the conversion that you expect from users, pay attention to the buyer funnel created by Elias St.Elmo Lewis. How can you sell something if people don’t know it exists? Awareness: people get to know that your product or service exists. Interest: people want to know more by clicking and going to your website. Desire: people show interest in your product. Action: people make a decision, whether contacting your company or buying your product online. As important as knowing how each ad fits in your strategy, it is important to know who it is targeting. This is paramount, considering the vast audience online, and also because your product can be used by different audiences. Don’t expect that the same ad to reach everyone. You might have seen those annoying ads that are nothing to do with you sometimes. To target your audience in any marketing strategy, you need to collect data, analyze it and make creative decisions from there. Yes, a lot of work and resources, but here is where the big fish of social networks provide all the data it collects, forms users by condensing and organizing in Facebook Ads Manager. Facebook Ads Manager offers three basic segment for audiences: Saved, Custom and Lookalike. Each of these types give you a wide range of options to reach an accurate audience for your business and product. Saved Audience: Target audiences by interests, gender, age, devices, incomes and more. Customer Audience: Retargeting is possible in Facebook, based on previous website visitors or people who have previously engaged with your content. Lookalike audience: By creating a Custom Audience to select the audience you want to target, now you can select a target country and a percentage of Facebook users in that country. That percentage is the people that might be similar to your selected Custom Audience. It is recommended to select less than 10%. Now that you have segmented your audience you have a better understanding of the people you’re reaching. But any ad that lacks creativity and purpose is not enough. Put your creative team (or skills) in the service of an impressive ad that keeps audience attention and gives a clear call to action. Here you can check Facebook Ads examples for industry. Facebook Ad Manager allows you to check the performance of your ads. Use that data to optimize your budget, and increasing the bidding in the ad sets that work best for you. You can always edit or change your ads at different tiers: campaigns, sets and ads. Don’t forget to place a landing page in every ad. Facebook Ads Manager provides plenty of data and several tools to craft and manage your ads. By targeting your audience and understanding the behaviour of the users you can mix data that help create successful campaigns that will show results in the short term as well as long term. According with The State Of Social 2019 report developed by Buffer, 50.9% of companies do not have a documented social media strategy. Get above your competitors. 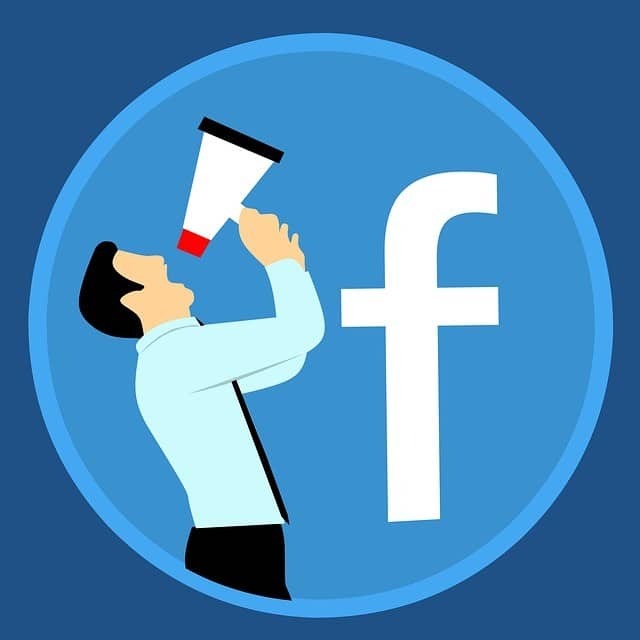 If you don’t have the knowledge or resources to know how to make Facebook ads effective for your business, you can always hire a local experienced agency that fit your budget and needs.